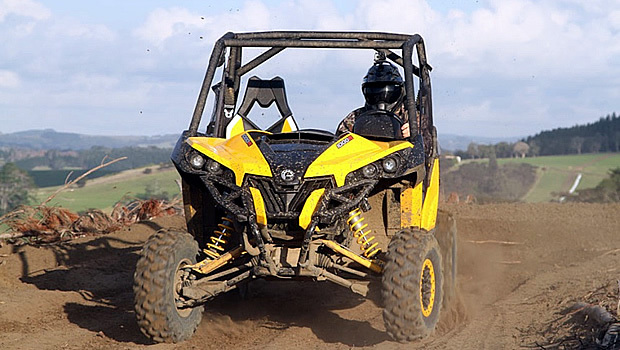 BRP likes to run its annual Club Can-Am events in New Zealand, and for good reason. Not only is it an amazing place to experience BRP’s products, it also has a freedom for the usage of ATV/side-by-side vehicles that Australia simply doesn’t have. The two specific vehicles that caught our eye was the Outlander ATV, which comes in various engine capacities and layouts, and of course the all-new Maverick. BRP owns Rotax, the famous Austrian engine manufacturer, so as expected Rotax engines, especially the V-twin, power a vast array of BRP products. 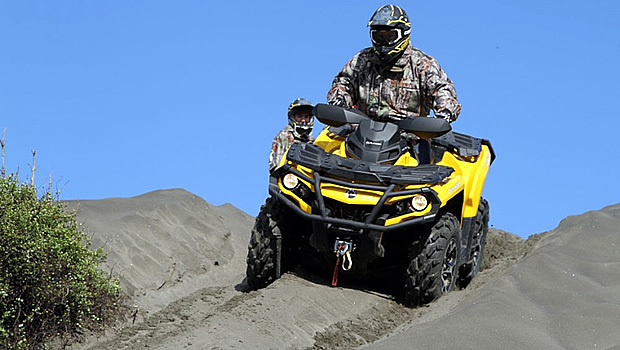 The Outlander comes in four different engine capacities – 1000cc, 800cc, 650cc and 500cc. There are smaller capacity Outlander models too, which use liquid-cooled single cylinder engines, but the four mentioned use V-twin engines. 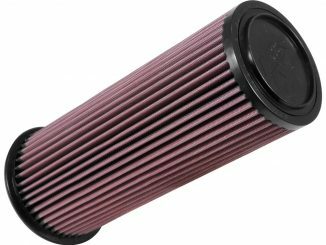 In the Outlander 1000 X mr the engine puts out 82 hp, which BRP state is the most powerful in the industry. 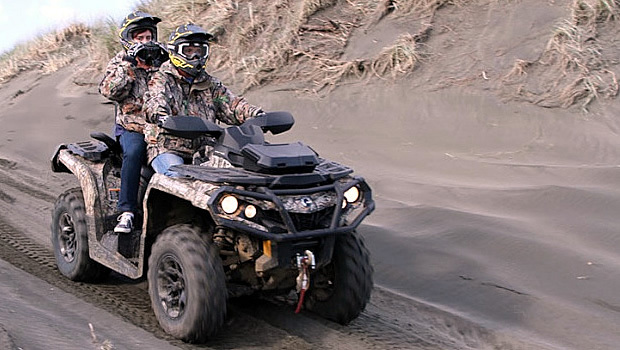 There are various Outlander models too, so you can go from base models right up to the twin seat Max 1000 Limited which has so many bells and whistles it’s almost amazing In the USA of course these types of ATVs are used for everything from farming to hunting and fishing. If you want to up-spec your Outlander there’s a serious number of factory accessories available, from bling to racks for carrying barrels of sheep dip. Our test track was the best we’ve ever encountered, from heavily wooded forest and single track, to steep inclines and even a flat out run along one of the most picturesque beaches we’ve ever seen. Riding the big Outlanders is so easy. They are comfortable and choosing which one all depends on what you need it for. Even the smaller capacity powered models go very well, and handled everything we threw at them on the day. Not one of them struggles to cope with the terrain we encountered, which was fairly serious at times. Each model we tested had the CVT transmission, with selectable 2WD/4WD and shaft drive. Throw in the standard Visco-Lok diff and you have a serious package on hand. Independent rear suspension was standard on the models tested, as were disc brakes front and rear. You want quality? Then that’s what Can-Am offers. Maverick Can-Am’s side-by-side headline model, before the Maverick, was the Commander. And even though Michael Guest campaigned a Commander in the 2012 Australian Rally Championship it was never really designed as a sports side-by-side. 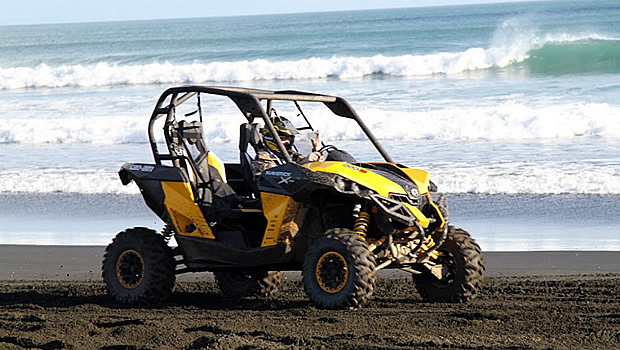 Can-Am has burnt the midnight oil to produce the Maverick and what a stellar job it has done. What an adrenalin rush it is to drive a Maverick. With 101hp from the Rotax V-twin engine bellowing through the twin exhaust as you give it full throttle, and the long travel FOX suspension soaking up the rocks and tree ruts, it’s hard to believe anyone could not have a blast driving one of these beauties. It feels very much like a racing buggy. You are strapped in to the racing seats, and you can choose from two power modes. In full power it’s simply hang on for the ride of your life. A couple of times as we were blasting through the trees we thought we had better slow down as it could get ugly quickly if you get too throttle happy. This was one of the best side-by-side experiences we have ever had. For more information duck into your Can-Am dealer. There’s so much to choose from you are bound to find a suitable vehicle for the job at hand. And if you have a few acres to blast around on, or a rally championship to try and win, then get your backside into a Maverick and give it a try out. Polaris has announced the release of a new single seat off-road ATV utility, the Sportsman ACE.